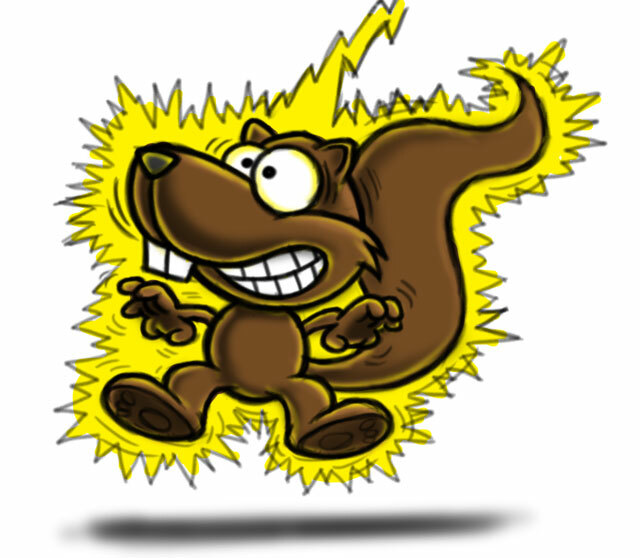 Time-lapse video of me adding color to the rough sketch of an electrocuted squirrel cartoon character in Adobe Photoshop CS5. 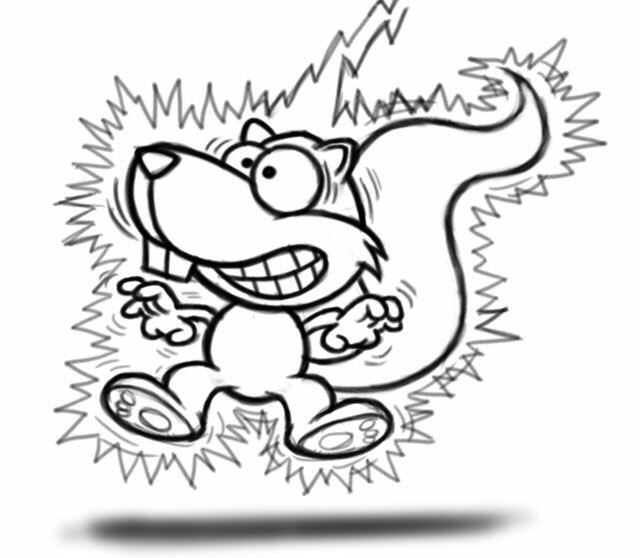 Time-lapse video of me creating the initial sketch of an electrocuted squirrel cartoon character in Adobe Photoshop CS5. 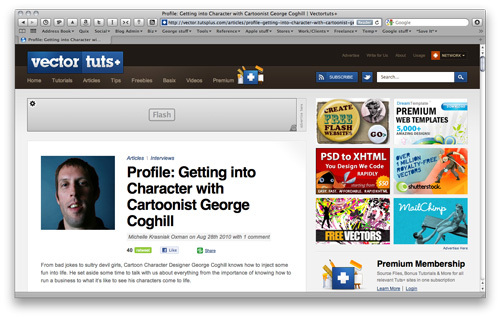 My interview over at VectorTuts just went up, head over to hear me talk about art, illustration, cartooning, working for yourself and other fun stuff. Bonus: corny joke included! 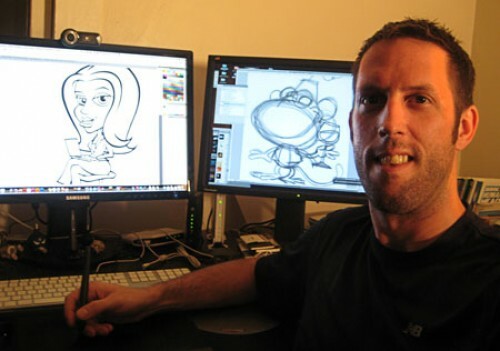 Just a quick post to let you know that a recent interview I did for the “Wasting Paper” cartoonist interview series is now up for your reading pleasure. 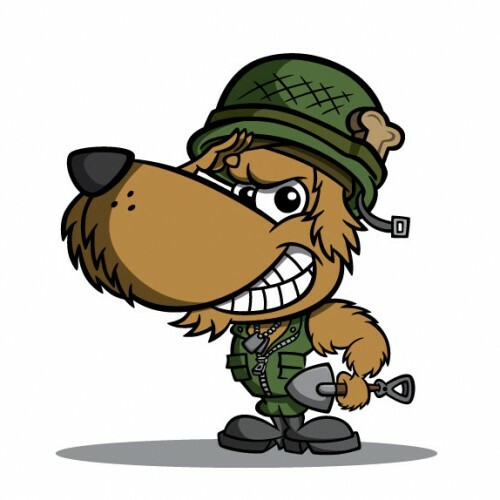 This cartoon character design of a military/soldier dog was created for a dog waste cleanup company, Private Piles. A full logo was also created in addition to the cartoon dog character. Squirrel cartoon character character design and logo for novelty gift company Acorn Souvenirs. The company sells gag gifts based on the government “ACORN” program. the concept behind the character and logo was to have the squirrel cartoon character trying to chew on the ACORN logo as if it were an actual acorn.